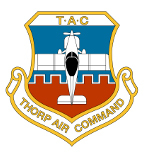 Thorp Air Command - T18.net • View topic - Is a Thorp cute? Post subject: Is a Thorp cute? Post subject: Re: Is a Thorp cute? Jeepers creepers, makes it look like a Corby Starlet! Notice though, that the Torp beat the RV in the race! Those are hilarious. I can hear circus music in the background looking at those.